Well, that’s enough preamble - let’s just get onto it! 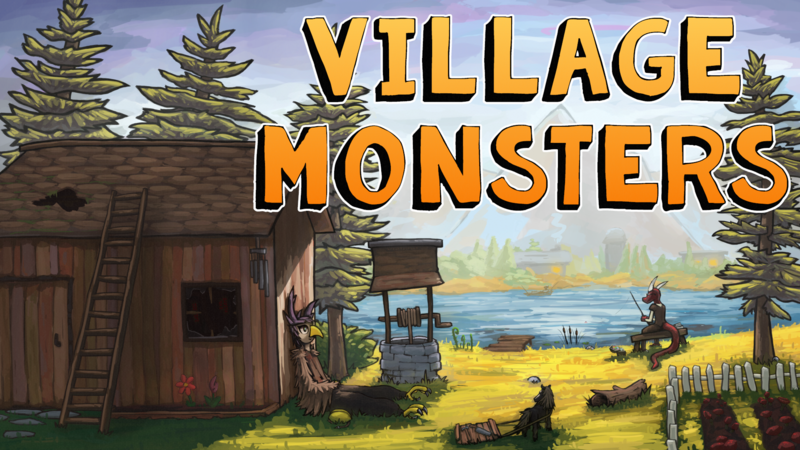 The majority of my time last week was spent on improving the village in some pretty major ways. First, I created and furnished four new homes for monsters to live in (though they’re still pretty sparse for now). I also converted that strange skull in town into a proper home for Saley & Stapes, the two skeletal guards. Overflow - the town’s tavern and a major hangout spot for locals - was also completely revamped…in the sense that before the revamp, the exterior was unfinished and the interior didn’t exist. Both outside and inside are now in a much better place. Finally, I also created 3 additional villagers and revamped a 4th. Meet Bavarian the Chef Blob, Lucy the Artistic Golem, Rainboy the Elemental, and Serin the…uh…tree. It seems at least once a month I get bogged down by some obnoxious camera bug that comes out of nowhere, and this month was no different. However, this time my solution ended up turning into a feature - a dynamic camera. There’s probably a better name for this, but what I mean is that the camera smoothly follows the player at its own speed as opposed to always keeping the player dead-center on screen. This fits better with the relaxed style of game I’m making, and also looks a lot better in motion. It’s hard to capture via a GIF, so you’ll need to trust me that it looks better. Sometimes I sit down to do one thing and end up feeling motivated to do something else entirely. That was the case this week, and it’s why I ended up creating four new critters to find and collect. I won’t share them so they can remain a bit of a secret, but here’s the Capricious Cumulus, a cloud-based critter that oscillates between feelings of timidness and aggression. That’ll do this for this week. Next week is likely to be just as sparse and late, but things are going very well and you’ll have a chance to see for yourself on September 6th when Alpha 1 releases. Don’t forget that the Kickstarter starts a week later on September 12th. It’s going to be a hectic month, but this fall is shaping up to be a hell of a good time.